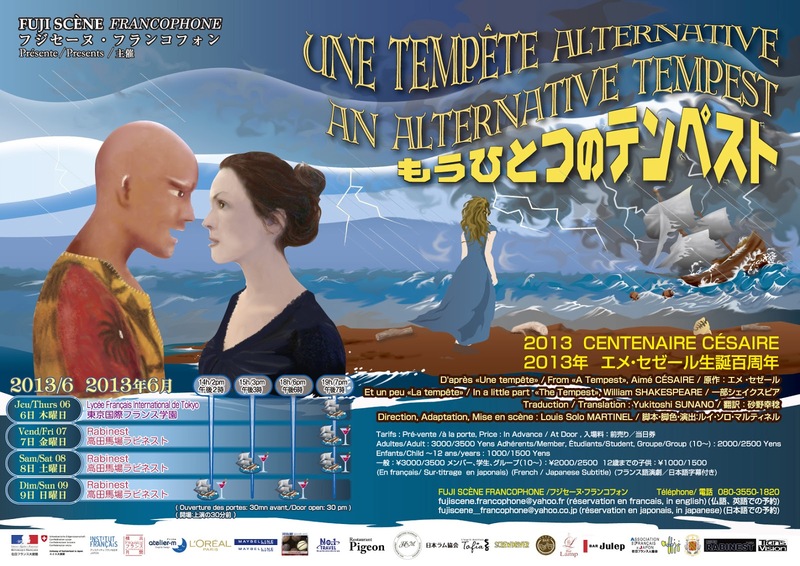 La petite rêveuse: 2013年エメ・セゼール生誕百周年「もう一つのテンペスト」劇上映 / 2013 CÉSAIRE CENTENAIRE "Une tempête alternative"
2013年エメ・セゼール生誕百周年「もう一つのテンペスト」劇上映 / 2013 CÉSAIRE CENTENAIRE "Une tempête alternative"
It's coming too this year! 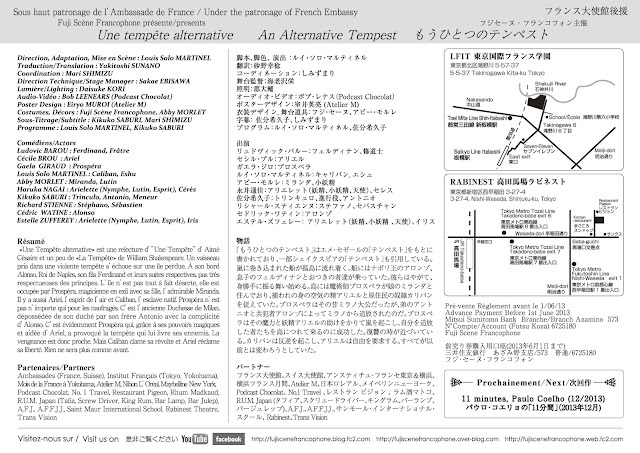 To commemorate the centenary in 2013 Aimé Cesaire birth, the Fujiscene Francophone will play in french in theather. 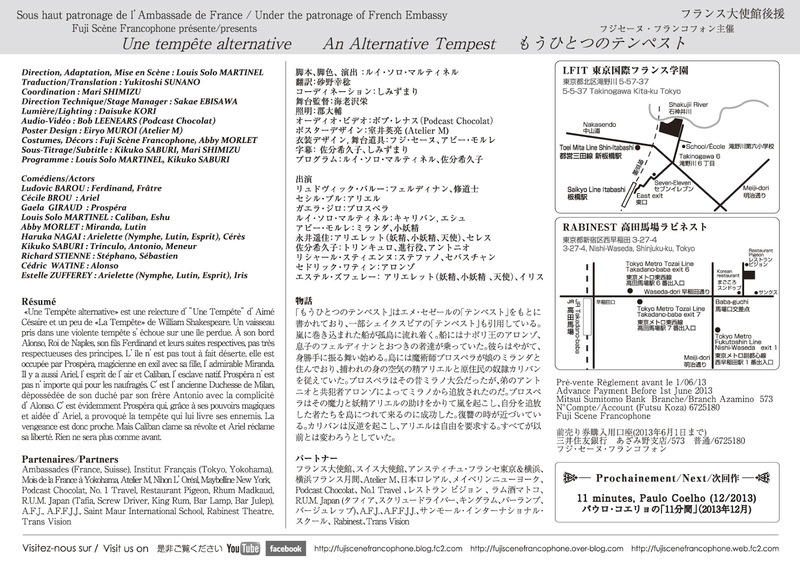 Title of the theathre is "Tempest another". It will also japanese subtitles on the screen. So if you are interested, please come to see the show. For more information, please check it out the flyer. I'll play the role of the goddess, nymph, fairy and imp!